Today’s reading is the culmination of all that Jesus came to do! He overcomes death, rises from the dead, appears to his disciples and gives them all and each of us as His followers the assignment of all assignments. A mission that will become a lifestyle for each Christ follower: As we go and live life, we are to help people KNOW Christ, (make disciples) baptize them and teach them all at Jesus taught (help them GROW to be like Him). It’s a mission that is possible! The resurrection of Jesus from the dead is the central fact of Christian history. On it, the church is built; without it, there would be no Christian church today. Jesus’ resurrection is unique. Other religions have strong ethical systems, concepts about paradise and afterlife, and various holy scriptures. Only Christianity has a God who became human, literally died for his people, and was raised again in power and glory to rule his church forever. Because Christ was raised from the dead, we know that the kingdom of heaven has broken into earth’s history. Our world is now headed for redemption, not disaster. God’s mighty power is at work destroying sin, creating new lives, and preparing us for Jesus’ second coming. The Resurrection gives authority to the church’s witness in the world. Look at the early evangelistic sermons in the book of Acts: The apostles’ most important message was the proclamation that Jesus Christ had been raised from the dead! The Resurrection gives meaning to the church’s regular feast, the Lord’s Supper. Like the disciples on the road to Emmaus, we break bread with our risen Lord. The power of God that brought Christ’s body back from the dead is available to us to bring our morally and spiritually dead selves back to life so that we can change and grow (1 Corinthians 15:12-19). Christians can look very different from one another, and they can hold widely varying beliefs about politics, lifestyle, and even theology. But one central belief unites and inspires all true Christians—Jesus Christ rose from the dead! 28:1 Now after the Sabbath, as the first day of the week began to dawn, Mary Magdalene and the other Mary came to see the tomb.NKJV The women could not make the trip to the tomb until after the Sabbath. As dawn approached, Mary Magdalene and the other Mary came to see the tomb. Both of them had been at Jesus’ cross and had followed Joseph so they would know where the tomb was located (27:56, 61). Mark also mentioned that Salome was with them; she had also been at the cross and was probably the mother of the disciples James and John. The women went home and kept the Sabbath as the law required, from sundown Friday to sundown Saturday. In the Jewish reckoning of time, a day included any part of a day; thus, Friday was the first day, Saturday was the second day, and Sunday was the third day. Unlike the Jewish leaders, they certainly had no expectation that the disciples would steal the body (27:62-66). When the women arrived at daybreak on Sunday, the third day, Jesus had already risen. Mark explained that they had gone back to the tomb to bring spices and perfumes to anoint Jesus’ body because they had had no time to do so before the Sabbath (Mark 16:1). Anointing a body was a sign of love, devotion, and respect. Bringing spices to the tomb would be like bringing flowers to a grave today. Since they did not embalm bodies in Israel, they would use perfumes as a normal practice. The women undoubtedly knew that Joseph and Nicodemus had already wrapped the body in linen and spices. They probably were going to do a simple external application of the fragrant spices. Matthew, however, omitted the detail of their visit, explaining only that they came to see the tomb. 28:2-4 There was a violent earthquake, for an angel of the Lord came down from heaven and, going to the tomb, rolled back the stone and sat on it.NIV Again a supernatural event took place, probably having occurred before the women arrived at the tomb. There was a violent earthquake (see also 27:51-52) that occurred as the angel of the Lord descended, or it was the means by which the stone was rolled away from the tomb’s entrance. The stone was not rolled back so Jesus could get out, but so others could get in and see that Jesus had indeed risen from the dead, just as he had promised. This is as close a description of the Resurrection as the Bible gives us. Mark records that the women were concerned about how they would get into the tomb to anoint Jesus’ body (Mark 16:3). They had seen Joseph put the stone at its entrance (27:60-61), although they may have been unaware of the sealing of the stone and of the guards who had been posted. When they arrived at the tomb, they saw that the large stone had already been rolled aside. An angel of the Lord was sitting on the stone. His appearance was like lightning, and his clothing white as snow. For fear of him the guards shook and became like dead men.NRSV The radiance of this angel made him appear like lightning. These words recall Old Testament visions like that of Daniel (see Daniel 7:9; 10:6). The angel’s beauty and glory, coming from heaven itself, caused the posted guards to faint with fear and caused great fear for the women as well (28:5, 8). Matthew and Mark wrote that one angel met the women at the tomb, while Luke mentions two angels. Each Gospel writer chose to highlight different details as he explained the same story, just as eyewitnesses to a news story may each highlight a different aspect of that event. Matthew and Mark probably emphasized just the angel who spoke. 28:5-6 The angel said to the women, “Do not be afraid, for I know that you are looking for Jesus, who was crucified. He is not here; he has risen, just as he said. Come and see the place where he lay.”NIV The angel spoke reassuringly to the frightened women. They were looking for Jesus, the human being who had been crucified on the cross. But Jesus was not there; he had risen. 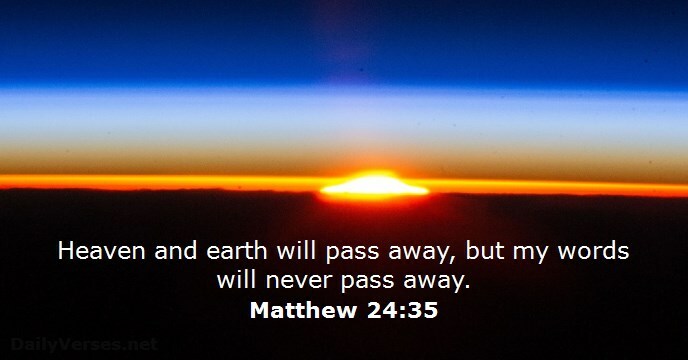 Jesus had given the disciples three predictions of both his death and of his resurrection (16:21-28; 17:22-23; 20:17-19). The angel said to the women, “Remember how he told you, while he was still in Galilee, that the Son of Man must be handed over to sinners, and be crucified, and on the third day rise again” (Luke 24:6-7 nrsv). The angel invited the women to look into the inner burial chamber and see the place where he lay. John records that the linen cloths that had been wrapped around Jesus’ body were left as if Jesus had passed right through them. The handkerchief was still rolled up in the shape of a head, and it was at about the right distance from the wrappings that had enveloped Jesus’ body (John 20:6-7). A grave robber couldn’t possibly have made off with Jesus’ body and left the linens as if they were still shaped around it. The best explanation was that Jesus had risen from the dead, just as he said he would. 1. “Do not be afraid.” The reality of the Resurrection brings joy, not fear. When you are afraid, remember the empty tomb. 2. “He is not here.” Jesus is not dead and is not to be looked for among the dead. He is alive, with his people. 3. “Come and see.” The women could check the evidence themselves. The tomb was empty then, and it is empty today. The Resurrection is a historical fact. 4. “Go quickly and tell.” They were to spread the joy of the Resurrection. We too are to spread the great news about Jesus’ resurrection. 28:7 “Then go quickly and tell his disciples, ‘He has been raised from the dead, and indeed he is going ahead of you to Galilee; there you will see him.’ This is my message for you.”NRSV The women who had come to anoint a dead body were given another task—proclaiming the Resurrection to the frightened disciples. Mark explained that the angel made special mention of Peter to show that, in spite of Peter’s denials, Jesus had not disowned and deserted him. According to Luke’s account, several women ran to tell the disciples: “Now it was Mary Magdalene, Joanna, Mary the mother of James, and the other women with them who told this to the apostles. But these words seemed to them an idle tale, and they did not believe them. But Peter got up and ran to the tomb; stooping and looking in, he saw the linen cloths by themselves; then he went home, amazed at what had happened” (Luke 24:10-12 nrsv). John, in his personal account, added that he too dashed in amazement to the tomb (John 20:3-5). The disciples had deserted Jesus in the hour of trial, but the angel’s words held hope of renewal and forgiveness. The disciples had deserted, but they were directed to meet Jesus in Galilee. This was exactly what Jesus had told them during the Last Supper, that he would go ahead of them into Galilee after his resurrection (26:32). 28:8 So the women hurried away from the tomb, afraid yet filled with joy, and ran to tell his disciples.NIV The women hurried away from the tomb, realizing that they had seen the results of an awesome miracle in the empty tomb and had been in the presence of an angel. This revelation from God had filled them with a mixture of fear and joy. They obeyed the angel’s command and ran to the eleven disciples with the good news of the empty tomb and Jesus’ resurrection. 28:9 Suddenly Jesus met them and said, “Greetings!” And they came to him, took hold of his feet, and worshiped him.NRSV As the women ran from the tomb, in their path appeared Jesus himself! The women took hold of his feet (a Near Eastern custom for a subject showing obeisance to a king) and worshiped him, giving homage to their Savior, Lord, and King. When Moses met God on Mount Sinai, it was a scene of holy terror: burning bush, awesome voice, brilliant glory-light. But here, Jesus surprises the two Marys and says, “Hello.” What a friendly way to greet two devoted followers. How does Jesus greet us today? Usually in quiet, friendly ways. With a moment of deep assurance after a morning prayer. Through the touch of a friend come to share a piece of news. By the arrival of a letter from an old friend. Through a feeling of wonder at the Lord’s Supper during morning worship. How does Jesus greet you? Share your joy with others this week. 28:10 Then Jesus said to them, “Do not be afraid; go and tell my brothers to go to Galilee; there they will see me.”NRSV By “brothers,” Jesus meant his disciples. This showed that he had forgiven them, even after they had disowned and deserted him, and that he raised them to a new level of fellowship—from disciples to “brothers” (see John 15:15). Jesus told the women to pass a message on to the disciples—that they should go to Galilee, as he had previously told them (26:32). In almost every example of God breaking into life on earth, the opening words are, “Fear not . . . Have no fear, I am with thee.” Our Father knows that we need constant reassurance. Galilee was where Jesus had called most of them and where he had said they would become “fishers of men” (4:19 niv), and it would be where this mission would be restated (John 21). But the disciples, filled with fear, remained behind locked doors in Jerusalem (John 20:19). Jesus met them first in Jerusalem (Luke 24:36) and later in Galilee (John 21). Then he returned to Jerusalem, where he ascended into heaven from the Mount of Olives (Acts 1:9-12). 28:11 While the women were on their way, some of the guards went into the city and reported to the chief priests everything that had happened.NIV Jesus’ resurrection was already causing a great stir in Jerusalem. A group of women was moving quickly through the streets, looking for the disciples to tell them the amazing news that Jesus was alive. At the same time, guards were on their way, not to Pilate, but to the chief priests. If these were Roman guards (see commentary on 27:65), under Roman law, they would have paid with their lives for falling asleep on the job (28:13). Since they were assigned to the Jewish authorities, they went to the religious leaders badly in need of a cover-up. They went to the chief priests, to tell them everything that had happened (at least up to the point where they fainted!). 28:12-15 When the chief priests had met with the elders and devised a plan, they gave the soldiers a large sum of money, telling them, “You are to say, ‘His disciples came during the night and stole him away while we were asleep.’ If this report gets to the governor, we will satisfy him and keep you out of trouble.”NIV The religious leaders’ worst fears had been realized (27:63-64)—Jesus’ body had disappeared from the tomb! Instead of even considering that Jesus’ claims had been true and that he truly was the Messiah risen from the dead, the chief priests and elders devised a plan and paid a bribe to the soldiers in order to explain away what had happened. What irony that the chief priests were forced to bribe the guards to spread the very lie that the chief priests had tried to prevent! This may have seemed like a logical explanation, but they didn’t think through the details. Why would Jesus’ disciples, who already had run off on him at his arrest, risk a return at night to a guarded and sealed tomb in an effort to steal a body—an offense that could incur the death penalty? If they had done so, would they have taken the time to unwrap the body and leave the graveclothes behind? If this had occurred while the guards were asleep, how could the guards possibly have known that the disciples came during the night and stole the body? If this truly happened, why didn’t the religious leaders arrest the disciples in order to prosecute them? The story was full of holes and the guards would have to admit to negligence on their part, so getting them to spread this rumor required a large sum of money. If the governor (Pilate) were to hear the story, the Jewish leaders promised to intervene for the guards, satisfy Pilate with the made-up rumor, and keep the guards out of trouble. (Considering their treatment of Judas in 27:4, one ought to wonder at the sincerity of these words!) Nevertheless, the plan worked: So the soldiers took the money and did as they were instructed. And this story has been widely circulated among the Jews to this very day.NIV Apparently the sum of money paid was worth it, because the soldiers took it and did as they were instructed. The story circulated and many people believed the lie, also apparently not thinking through the information long enough to ask the obvious questions. 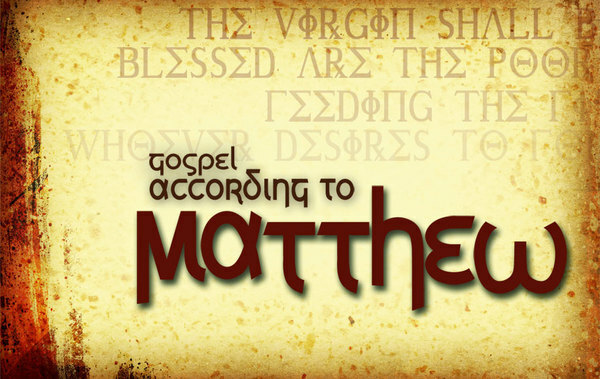 The story was still being circulated in the days of Matthew’s writing this Gospel, and even in the days of Justin Martyr (a.d. 130-160). First the religious leaders had to get false accusers to give false reports at Jesus’ kangaroo court. Then they had to invent false charges of treason against Roman authority. Here they developed an alibi for the guards, and, if necessary, they would lie to Pilate to protect the guards and themselves. Lying leads to lying. If you start down that slide, there’s a gravity that keeps pulling you down. Invent one story, and you’ll have to invent another, sure thing. Take a lesson from these sorry leaders. Tell the truth, and live free from the worry that your cover may be blown. At home, require the truth from your children, and give the truth to them. At work, be up-front and square. The bumps you may feel over the truth are nothing like the boulders you’ll have to climb by lying to protect yourself. 28:16-17 Now the eleven disciples went to Galilee, to the mountain to which Jesus had directed them. When they saw him, they worshiped him; but some doubted.NRSV Jesus made several appearances to various people after his resurrection “The eleven” refers to the remaining disciples after the death of Judas Iscariot. Although he first appeared to the disciples in Jerusalem, at his first appearance, Thomas had been absent. He doubted the story of the rest of the disciples, until Jesus appeared to him as well (John 20:24-31). They did go to Galilee, as Jesus had previously directed them (26:32; 28:10). At some point they returned to Jerusalem where Jesus ascended into heaven from the Mount of Olives (Acts 1:9). “The mountain” referred to here in Galilee is unknown; however, mountains figured prominently in Matthew, for they are found sixteen times in connection with divine revelation (at the Temptation, Sermon on the Mount, Transfiguration, etc.). This mountain at the conclusion of our Lord’s life corresponds to the mountain of temptation at the beginning. There he was offered the empire of the world, if only he would take the easy lower path; here he is acknowledged King of the world because he took the hard one of obedience unto death. In an effort to exclude the eleven disciples from having “doubted” Jesus, some scholars have suggested that they who saw him refers to more than just the eleven disciples—perhaps the “five hundred brothers” mentioned by Paul in 1 Corinthians 15:6 nrsv. But the text doesn’t allow for this; among the eleven who saw Jesus there were some who doubted—which means, they had hesitations about believing in Jesus’ resurrection. Apparently on their walk from Jerusalem to Galilee, lengthy discussions were held. Matthew may have been reporting some of the doubts and concerns still lingering in the minds of the eleven chosen disciples. Of course, they would all eventually be fully convinced and believe. Matthew’s honesty is remarkable. Some of the disciples struggled with doubt. No Christian grows in faith without some doubt. The five-year-olds who took in every Bible story will become the fifteen-year-olds who want to know how, what, why, when, and where. And they will grow, too, and press for deeper answers along the way. When you doubt, don’t be discouraged. It’s not a sin nor a failure. It’s a normal part of spiritual growth. Keep talking with thoughtful Christian friends and teachers, keep studying and praying, keep serving the Lord, and keep asking questions and looking for answers. God gave you a mind to discover his truth. Don’t let anyone tell you that discovery is wrong. They were under his authority. They were to make more disciples. They were to baptize and teach these new disciples to obey Christ. They would have Christ with them always. God gave Jesus authority over heaven and earth, a sweeping concept that implies divine status. He has “all authority”—that is, nothing is outside of his sovereign control. The major message here and in 28:20 is that Jesus, the one raised from the dead, has the authority of God himself. During Satan’s temptation of Jesus, Satan had offered “all the kingdoms of the world and their splendor” (4:8 nrsv). Jesus resisted the tempter, obeyed God to the point of horrible death, and was raised again in victory to receive all authority over heaven and earth—something Satan could never have given because it was never his in the first place. Whereas in previous missions Jesus had sent his disciples only to the Jews (10:5-6), their mission from here forward would be to go to all the nations. This is called the Great Commission. The disciples had been trained well, and they had seen the risen Lord. They were ready to teach people all over the world to observe all things that Jesus had commanded them. This also showed the disciples that there would be a lapse of time between Jesus’ resurrection and his second coming. During that time, Jesus’ followers had jobs to do—evangelize, baptize, and teach people about Jesus so that they, in turn, could do the same. The good news of the gospel was to go forth to all the nations. With this same authority, Jesus still commands us to tell others the Good News and make them disciples for the kingdom. We are to go—whether it is next door or to another country—and make disciples. It is not an option, but a command to all who call Jesus “Lord.” We are not all evangelists in the formal sense, but we have all received gifts that we can use to help fulfill the Great Commission. As we obey, we have comfort in the knowledge that Jesus is always with us. “Always” literally means “all the days” and refers to the presence of Christ with each believer every moment. This would occur through the Holy Spirit’s presence in believers’ lives. The Holy Spirit would be Jesus’ presence that would never leave them (John 14:26; Acts 1:4-5). Jesus continues to be with us today through his Spirit. As this Gospel began, so it ends—Immanuel, “God with us” (1:23). The Old Testament prophecies and genealogies in the book of Matthew present Jesus’ credentials for being King of the world—not a military or political leader, as the disciples had originally hoped, but a spiritual King who can overcome all evil and rule in the heart of every person. If we refuse to serve the King faithfully, we are disloyal subjects. We must make Jesus King of our lives and worship him as our Savior, King, and Lord. Source: Life Application Bible Commentary – Matthew. This entry was posted in Matthew and tagged Great Commission, Jesus, Matthew, Resurrection. Bookmark the permalink.